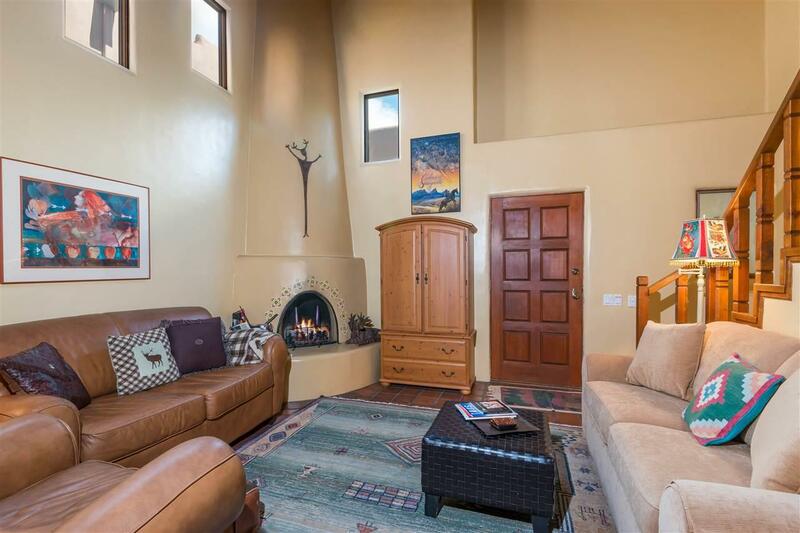 Darling downtown Condominium just off the Paseo! Truly walking distance to Plaza and the DeVargas Mall. Quaint, 29 unit compound on a quiet, cul-de-sac street, beneath mature trees and lush landscaping. This 2 bedroom, 2 1/2 bath unit has been lightly used for the last dozen and half years by the same family. 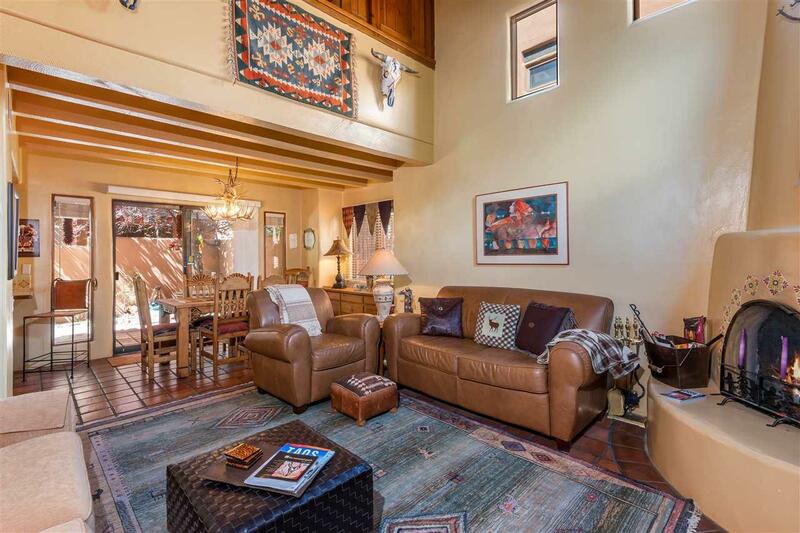 Vigas, beams, partly saltillo tile and two kiva fireplaces lend all the Santa Fe charm one would expect. Reasonable HOA fees maintain your roof and exterior. There's a delightful rear courtyard for enjoying our spectacular seasons, and a small balcony upstairs off one of the bedrooms. 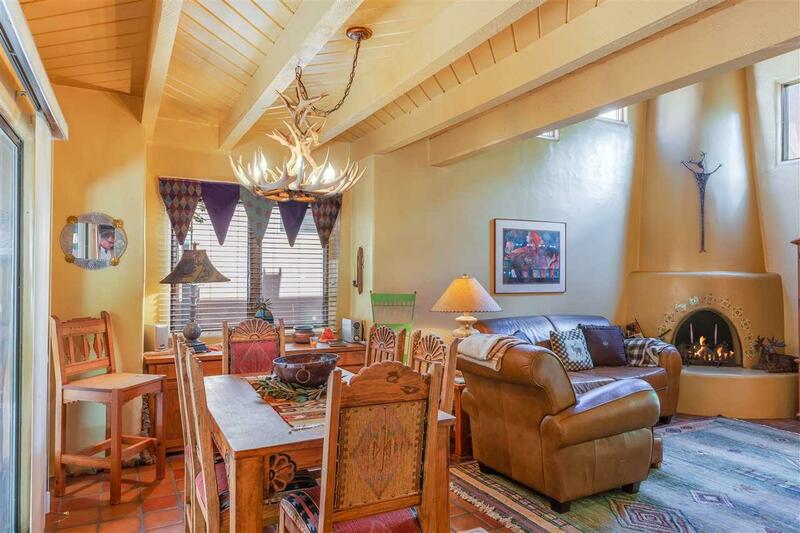 Don't miss this opportunity to own a wonderful downtown Santa Fe primary or second home! Assessments And Other Fees $817.30 Per Quarter. The Special Assessment is $451.25 Per Quarter And Runs Until June 302019. 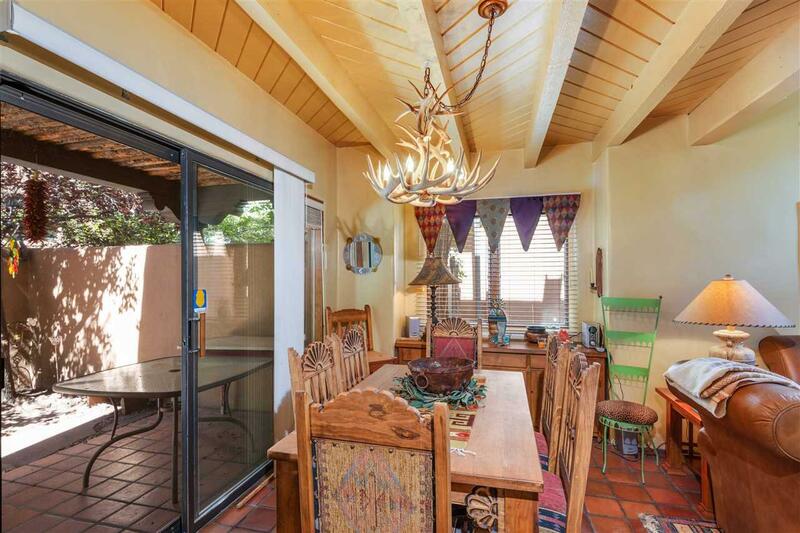 Listing provided courtesy of Paul Stenberg of Sotheby's Int. Re/Grant II. © 2019 Santa Fe Association of REALTORS®, Inc. MLS. All Rights Reserved.